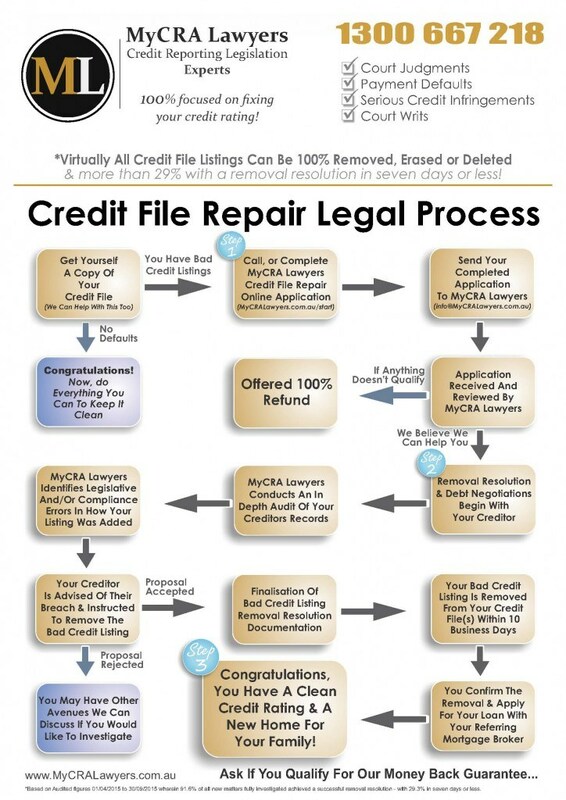 Understanding the process of credit file default removal is something MyCRA Lawyers can help you with. MyCRA Lawyers has a team of experts dedicated to removing any defaults or black marks from your credit rating, waiting to help you get started on the path to your clean credit future. MyCRA Lawyers audits your creditors files and compares them with up-to 8,000 pages of legislation looking for legislative or compliance errors. when we find these errors it may deem the bad credit default unlawful and require immediate removal. If you’re ready to get started, click here to safely deposit funds into our Legal Trust Account.